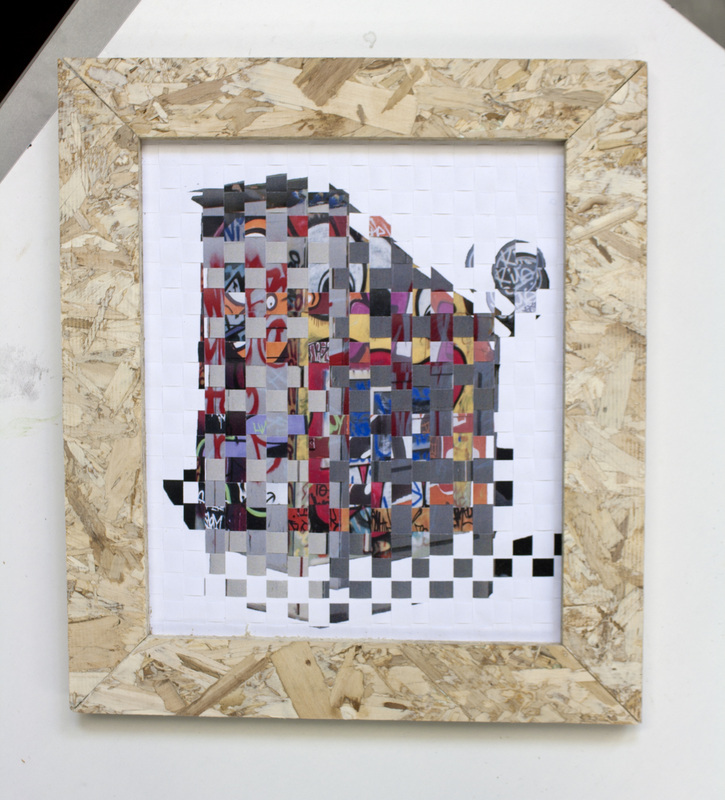 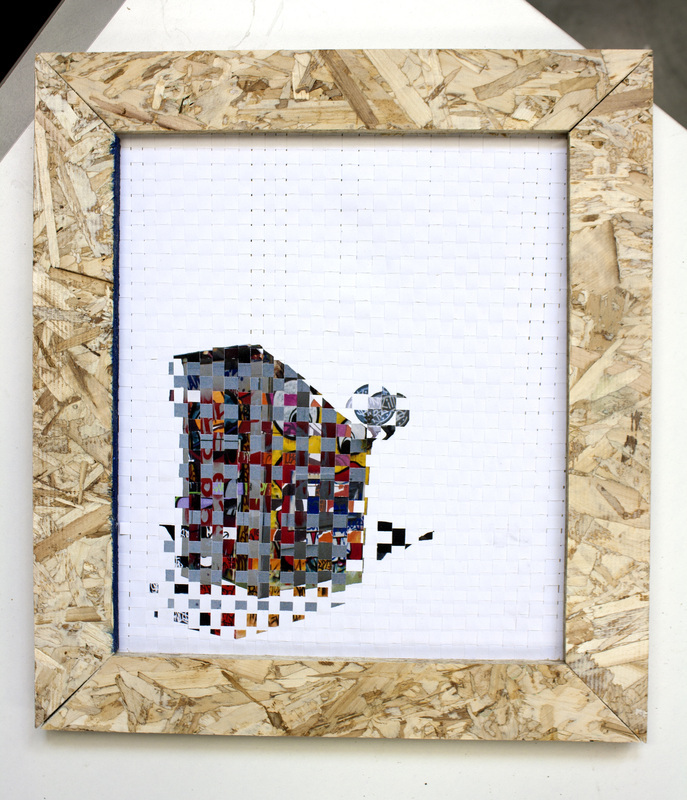 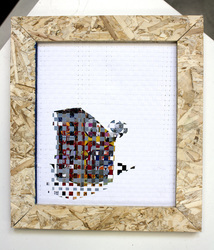 I Was Here - Paper Weave Series, 2012. 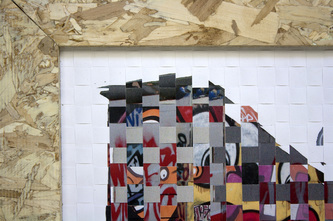 I Was Here - Paper Weave Series I, II, & III, 2012. Re-purposed plywood and several shredded images. This piece is the result of condensing and summarizing an installation work that was titled I Was Here. 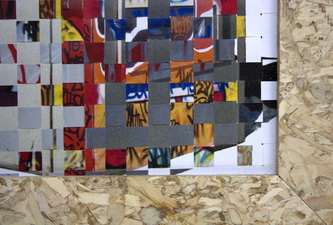 This series was created by taking several images of my re-purposed parking lot tenants booth during the multiple times that a handful of graffiti artists painted the outsides. 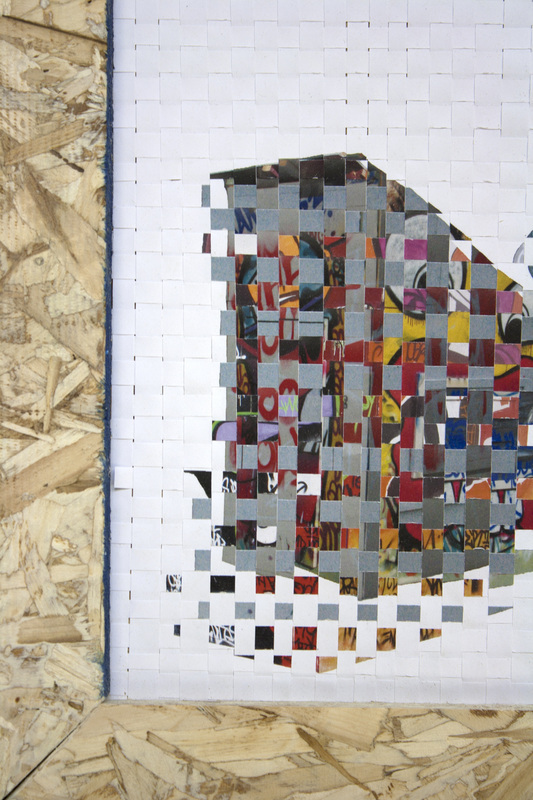 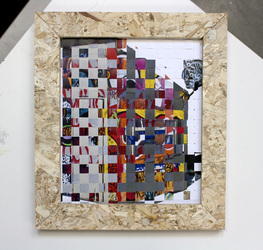 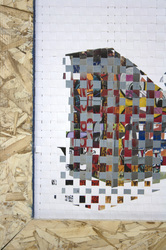 From there, every image was printed off, shredded, and weaved together to recreate the booth as one image while displaying its existence within each unique state.